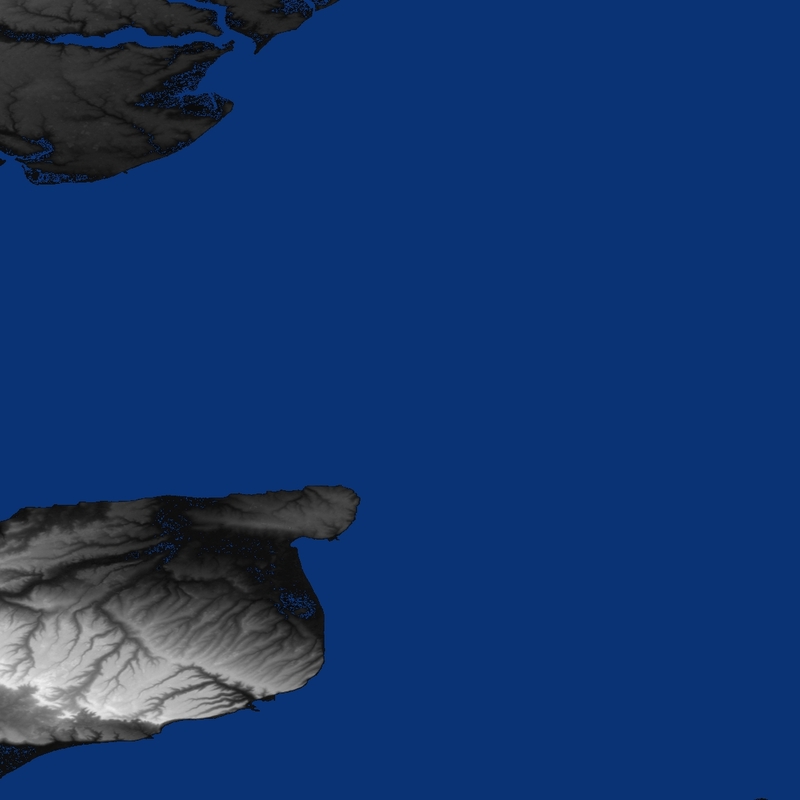 I have included Sample Scala to download the entire world wide set of SRTM3 files along with the SRTM1 files for the USA. There is also sample Scala code to read the .hgt files and convert them into grey scale renderings. Remember these are not actually maps. 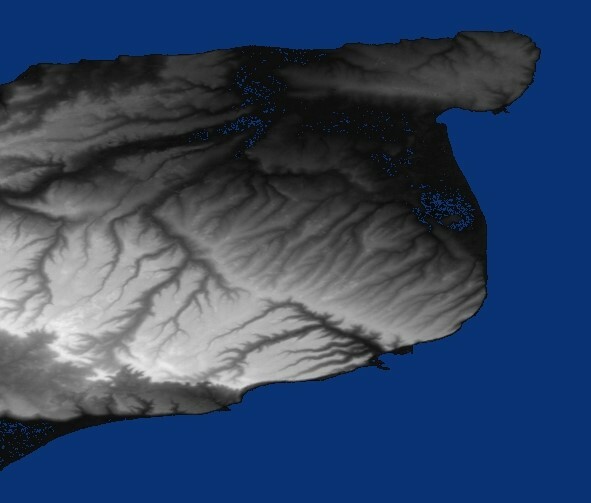 They are DEM (Digital Elevation Models) visually expressed. 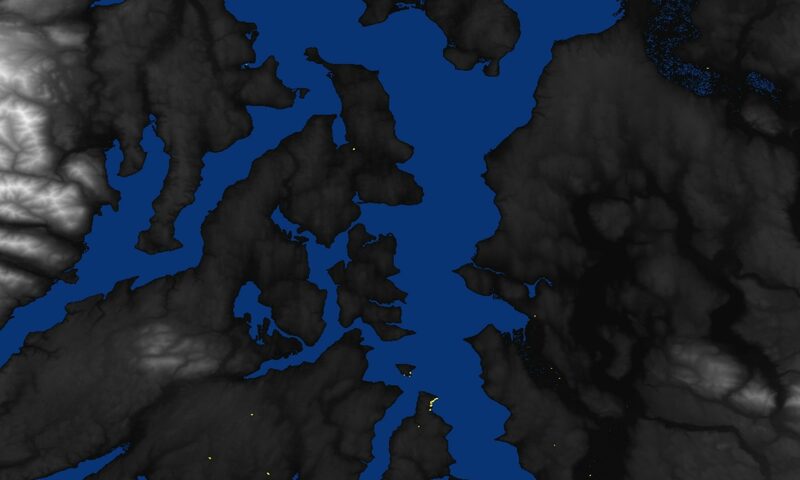 Darker areas indicate lower elevations. 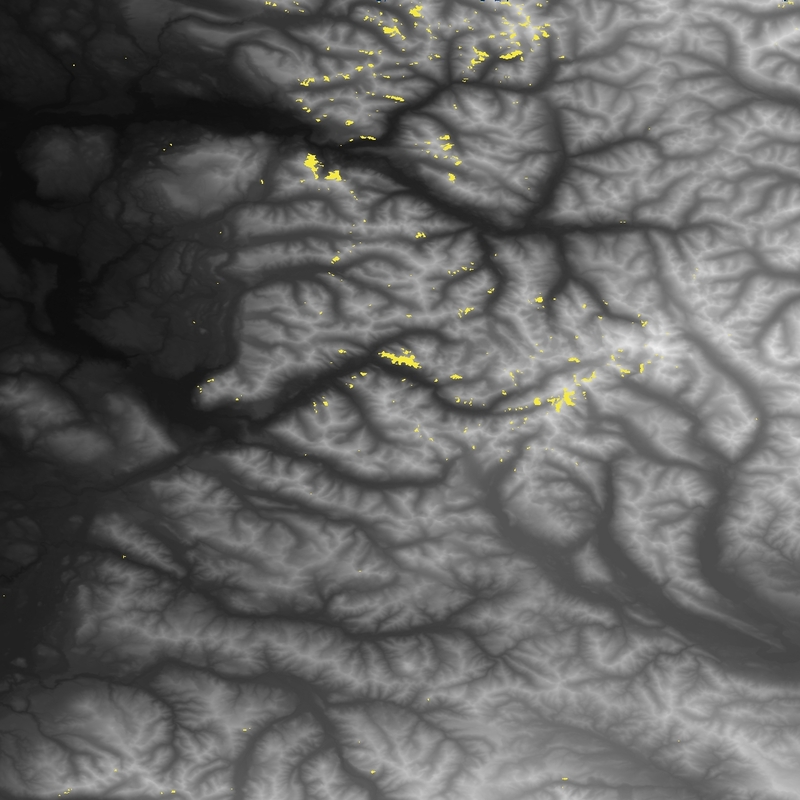 Lighter areas indicate higher elevations. Yellow dots are bad data. 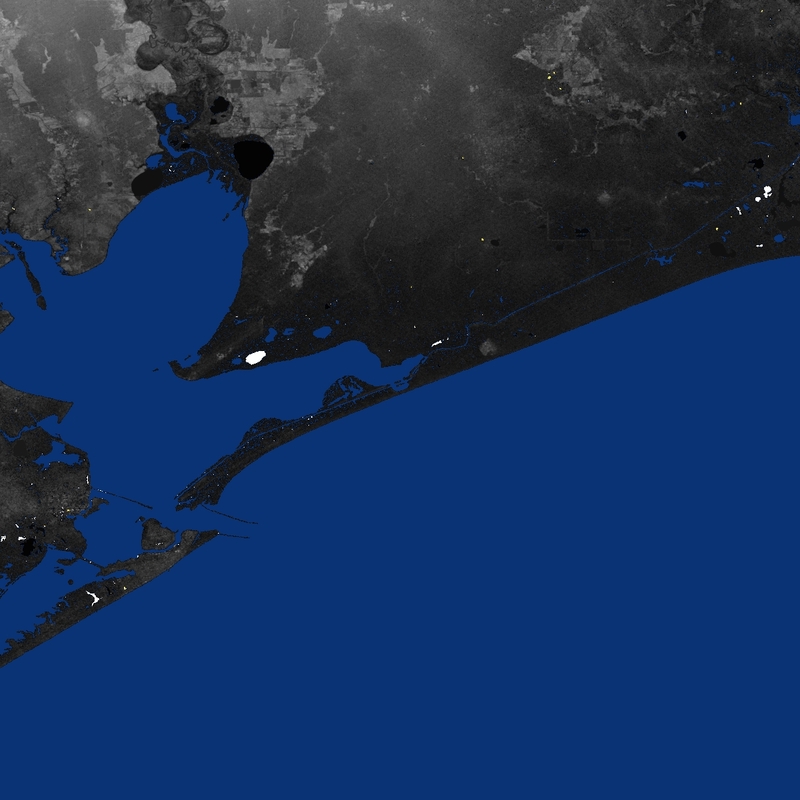 The NASA data is not ideal for rendering without a few tweaks. 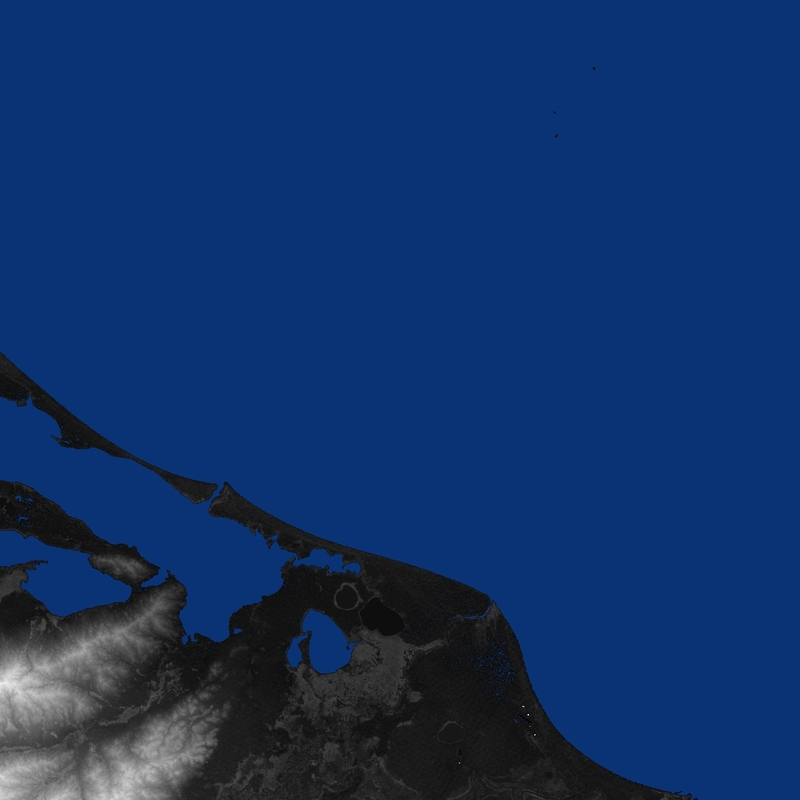 Detect 0 foot altitude and render in blue to indicate sea. Detect invalid data and attempt to compute based on surrounding land. If that fails then render in Yellow. 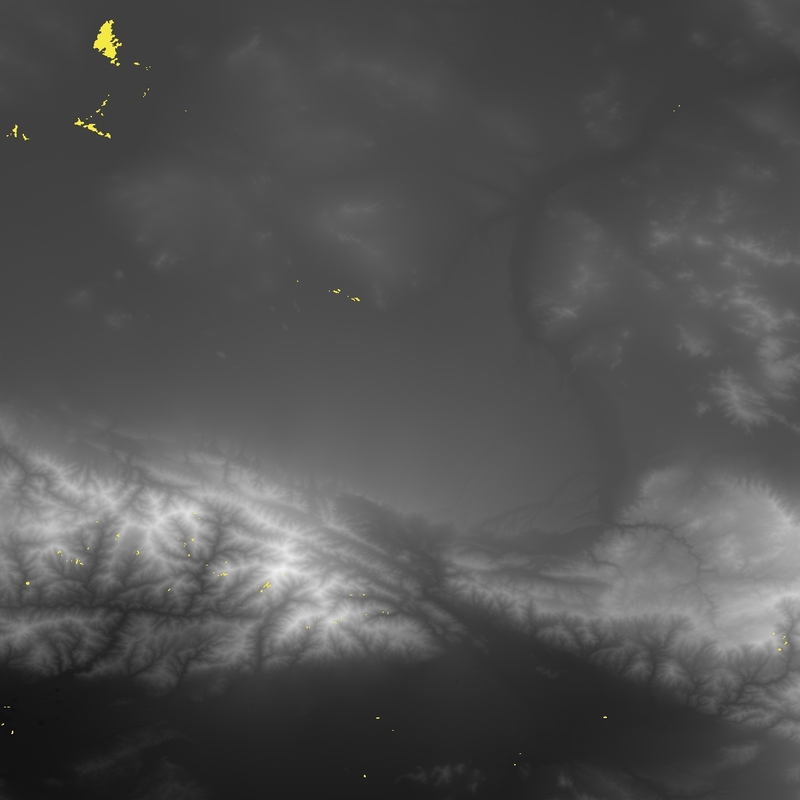 Figure out how much altitude changes in this tile and use that to adjust the visual contrast. This is the single most important aspect to obtain useful images. Modify the default Java .jpg file save to save with higher quality. The hgt files are essentially binary files full of 16 bit integer in MSB format. Java naturally reads integers in this format and scala uses the same libraries. We have to read as shorts or Java tries to read 32 bit ints. File names refer to the latitude and longitude of the lower left corner of the tile – e.g. N37W105 has its lower left corner at 37 degrees north latitude and 105 degrees west longitude. 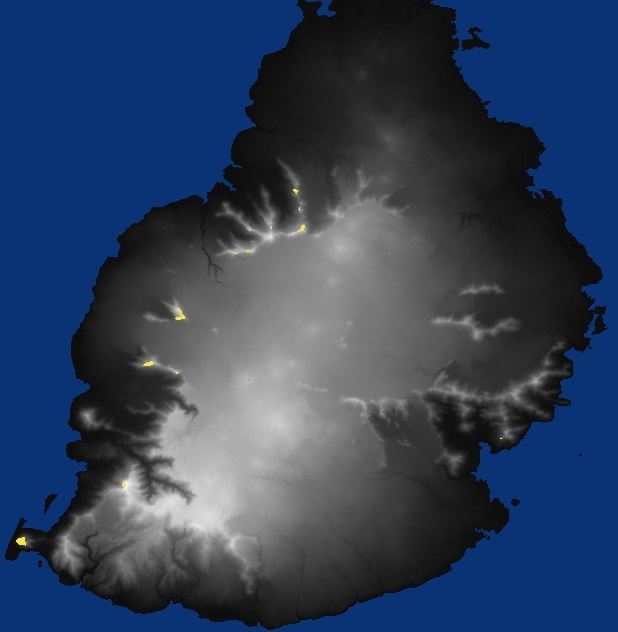 To be more exact, these coordinates refer to the geometric center of the lower left pixel, which in the case of SRTM3 data will be about 90 meters in extent. You can use this information to compute which hgt tile a given lat, lon will be located in. I don’t claim this is good Scala only that it works. I am roughing together some ideas while testing certain Scala features. I do offer consulting services but please remember I normally put a lot more effort into the code design than was invested here. // TODO: Fill this in. //write the .jpg file to disk. // value based on surrounding land. // contain higher altitude points. download each of those files to a target drive on local system. Unzip those files and delete the orignal archives. come up with the actual URI where the file is stored. // Returns true if the path exists false otherwise. new URL(uri) #> new File(outName) !! // unzip worked OK so we can delte the zip file. You may need to modify this for a hard disk where you have a lot of space available. For those running on linux you will need to convert the syntax to a compatible shell. I have the ArcAscii version working but it is too large to post in-line. 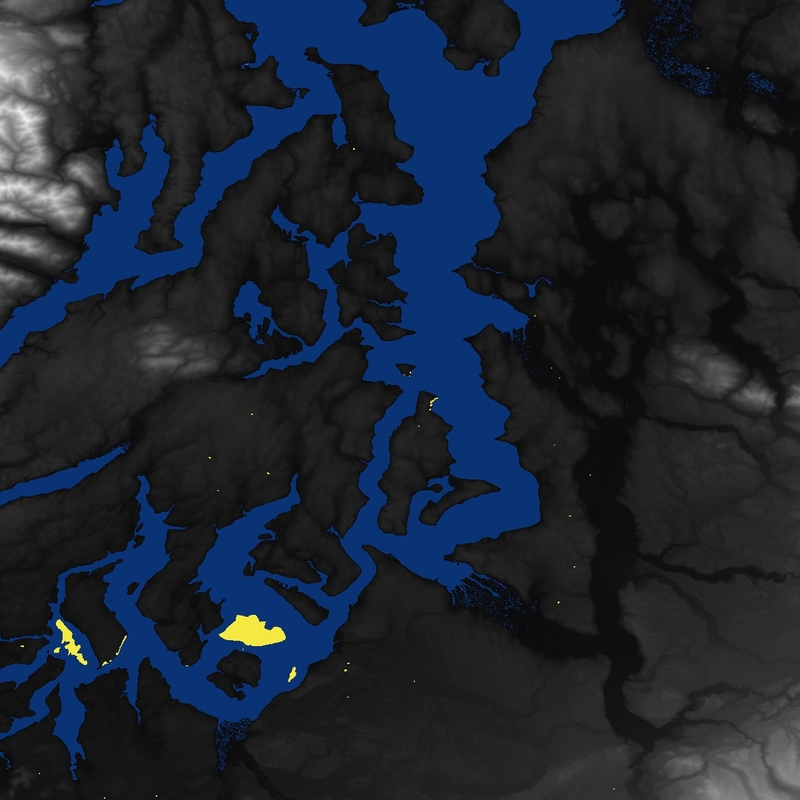 ArcAscii is the the easiest form to use when downloading SRTM1 data from the USGS servers. 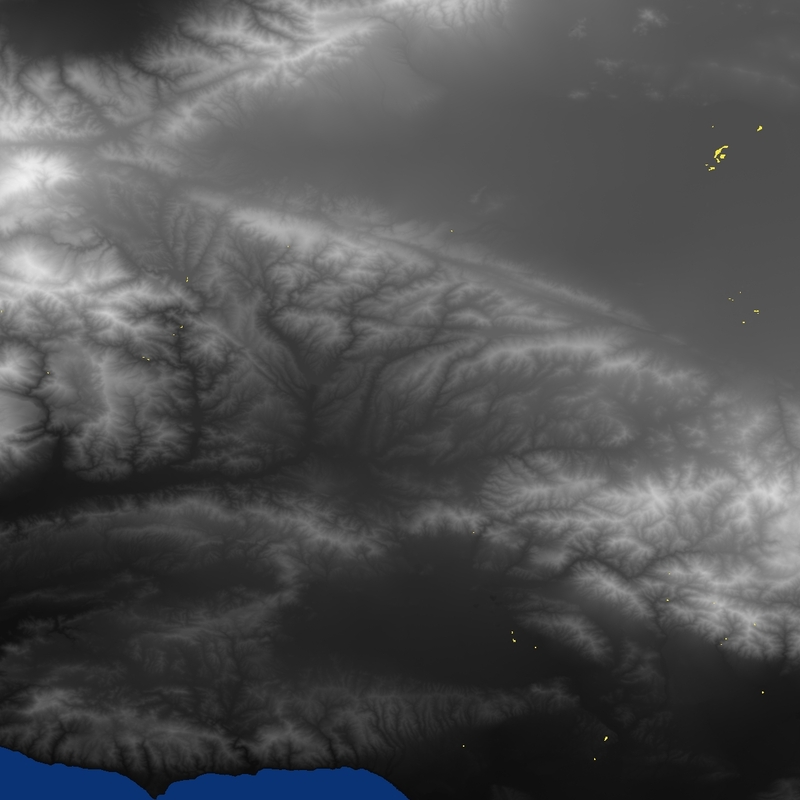 The SRTM1 version 3 final provides much higher resolution data and renders nicer DEM than the hgt files we parsed here. If you send me a note then I can make it available on github. Grab a rectangular sub region from a tile. Previous PostPrevious Scala fetch string from URI and save results in file.